The RSS of Each of these 50 sites are individually Submitted to 27 Separate RSS aggragators for additional link juice. Search Engines loves Blogger sites. 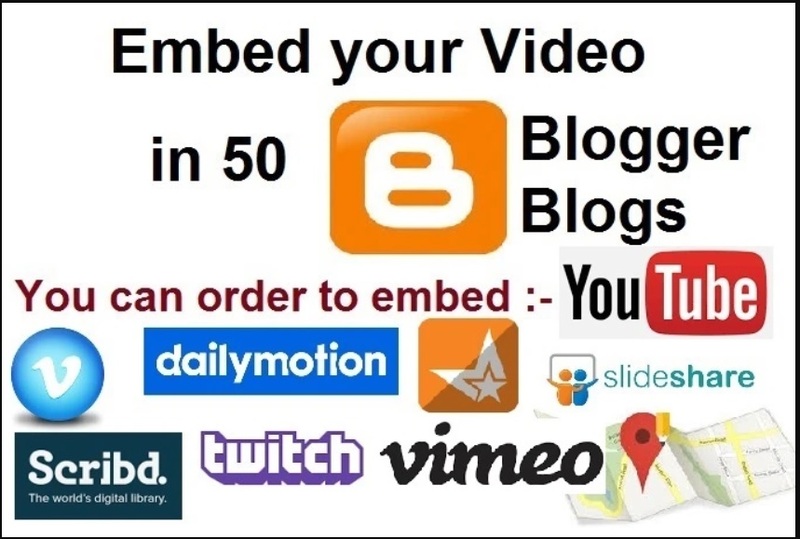 Embed Your Video In 50 Blogger Blogs is ranked 5 out of 5. Based on 1 user reviews.